Finnish Lapland is one of the most stunning places on earth. I know that’s a bold claim, but it truly is like a magical wonderland; an untouched, wild frontier that’s both breathtakingly beautiful and incredibly fun. Lapland is the northernmost region of Finland, home to the Sami people, and bordering the Baltic Sea, Sweden, Norway and Russia. The capital, known as the gateway to Lapland, is the city of Rovaniemi, and from here it’s easy to access many of the resorts and wilderness escapes in the region. The most popular time to visit Finnish Lapland is winter, when there’s very little light even in the middle of the day, which gives visitors the best chance of seeing the magical Northern Lights. But even without the Aurora, there’s plenty to see and do in the area in the other seasons. Summer is the prime time for adventure, and with the sun shining 24 hours of the day, you can pack a lot in. 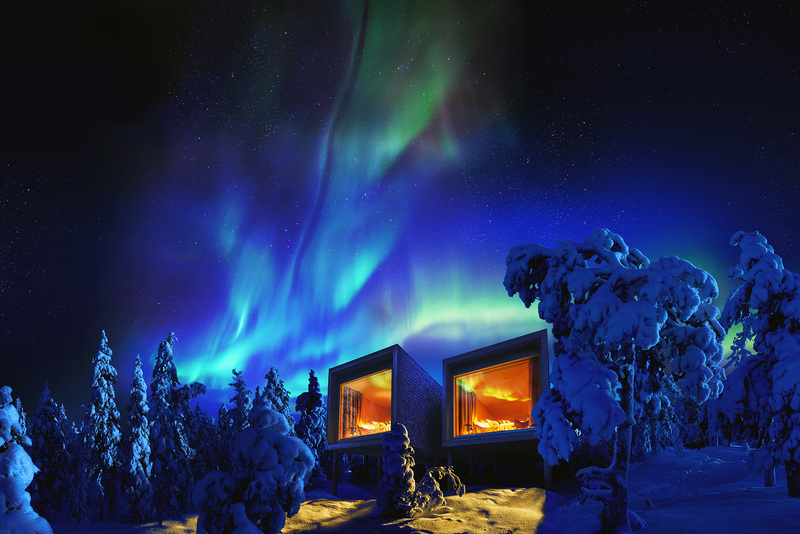 No matter when you choose to visit*, make your visit unforgettable by booking one of these incredible places to stay in Lapland. *Some of these options, like the ice hotel, are seasonal (for fairly obvious reasons). You can read about my 5-day itinerary for Finnish Lapland where I visited a few of these amazing places! 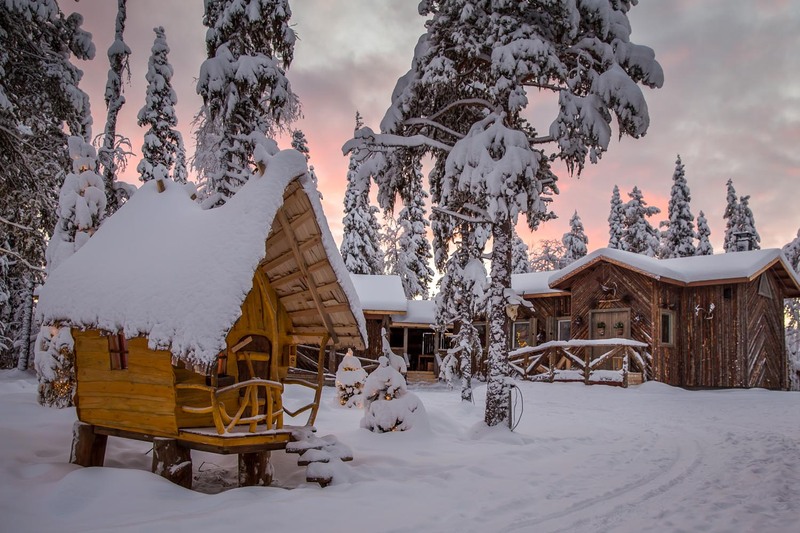 Immerse yourself in the whimsical folklore of Lapland at the Elves Hideaway, a resort that pulls you into another world, one where elves and gnomes are part of day to day life. Be led through ancient forests by curious elves, who will show you their Hidden Huts and the secrets of their world. It’s the perfect base for a family holiday to Lapland, with activities such as reindeer sleigh rides, visits to Santa’s workshop and gingerbread cookie baking classes to keep everyone entertained! Guests can stay in the Elf’s Cabin, which comes with its own sauna, or in the main hotel building. There’s an on-site restaurant, or if you’d prefer to pop into the popular village of Levi, you’re just 8km away. 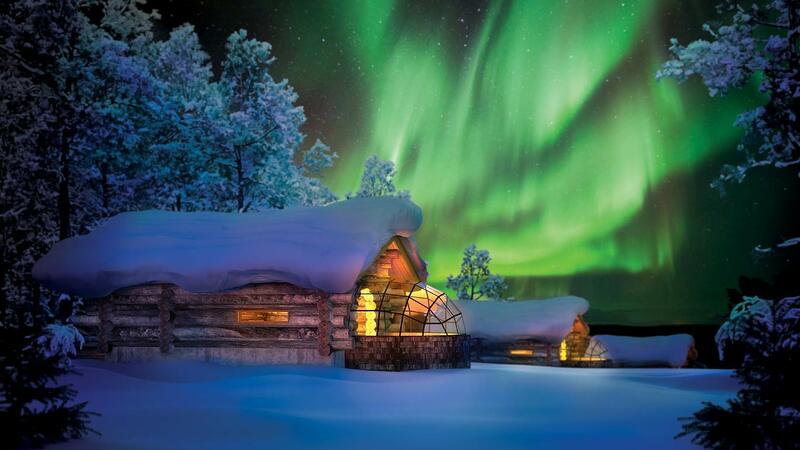 The SnowVillage in Finnish Lapland is one of those once-in-a-lifestyle, put it on your bucket list kind of places. Made from about 350,000 kilograms of natural ice, and a whopping 20 million kilograms of snow, the SnowVillage is built each year in time to welcome guests for winter. There’s a Snow Hotel, which you can sleep in for a night you’ll never forget, as well as an Ice Restaurant and Ice Bar (somebody stop me from making all of the “cool” puns! ), and even an Ice Chapel, where couples can get married in the most magical setting imaginable. Each year follows a different theme, and for 2018 it’s Game of Thrones which, as a huge Thronie, is about the most exciting thing I’ve ever heard. Think a life sized icy iron throne complete with swords, white walkers hovering over guest beds, and a terrifying Braavosi Hall of Faces. Excuse me while I die of excitement. To give yourself the best chance of seeing the sometimes elusive Northern Lights in winter, it’s best to keep clear of towns and cities, so there’s absolutely no light pollution obscuring the magic of the Aurora Borealis. 15km away from Levi is Northern Lights Ranch, a restaurant (where you can watch reindeer roaming outside while enjoying your meal), activity centre and hotel that offers just such an environment. 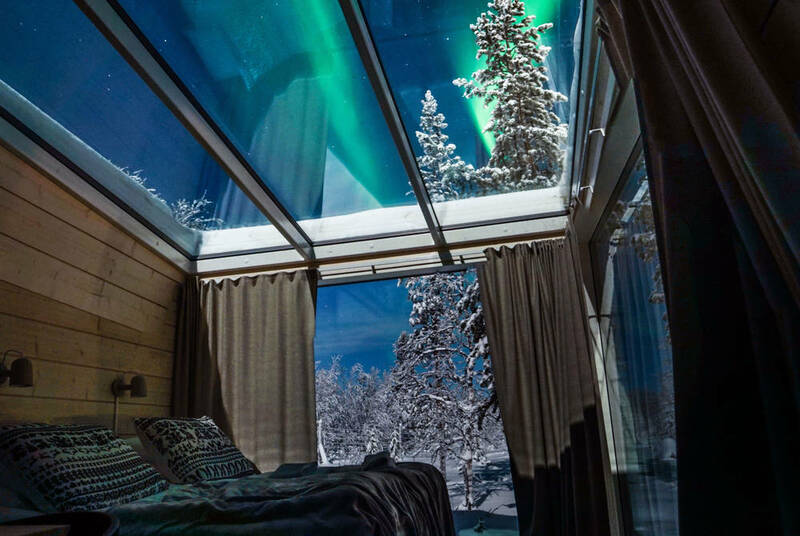 Guests sleep in stunning ‘Sky View Cabins’, which have glass walls and ceilings, so you don’t even need to get out of bed when the lights start dancing. For a truly unique Lapland experience, stay in a glass igloo in the snow, where it feels like there’s nothing between you and the vast skies above. You’ll be kept warm thanks to electrically heated non-fogging glass, and each igloo features a small kitchen, a bathroom, wi-fi and beds that can be adjusted so you can find the perfect position to watch the northern lights, without having to crane your neck. They’ve really thought of everything! What’s better than sleeping in a glass igloo in the Arctic? Nothing. That’s why I’m including more than one igloo option here, so you can choose your favourite (or try multiple igloo experiences for the ultimate Finnish Lapland stay!). 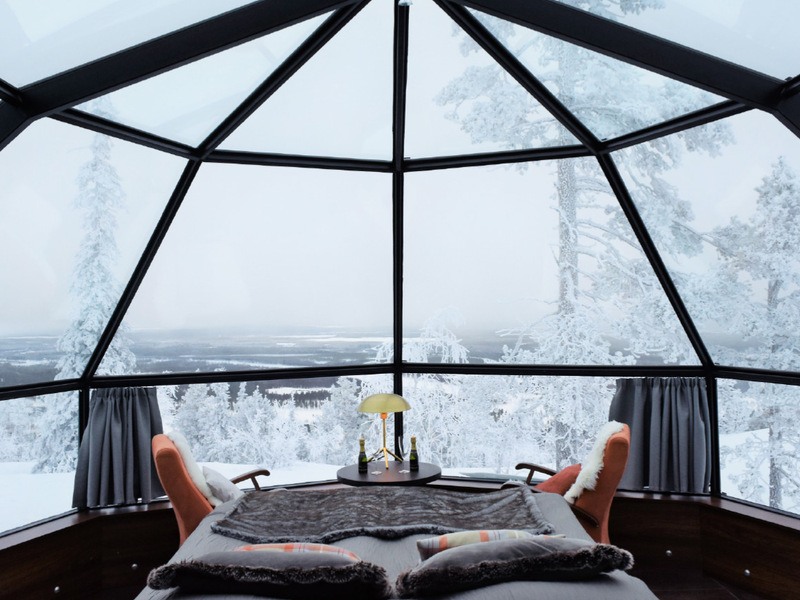 Kakslauttanen offers glass igloos, or log cabins with igloos attached (like a conservatory), so you can enjoy the cosy warmth of a log cabin while still having a window into the icy world beyond. And for the truly brave, there’s the option to stay in a snow igloo – that is, an igloo built not out of glass, but out of snow. The temperature inside remains consistent at -3 to -6, no matter how cold it gets outside, and sleeping bags are provided so you’ll (apparently) stay warm. Arctic TreeHouse is a sleek design hotel in Finnish Lapland, offering something just a little bit different from igloos and log cabins. Built with modern Scandinavian design in mind, this hotel is a series of raised cubes – minimalist, and at one with nature, sitting among the treetops of the mysterious forest that surrounds them. Everything has been carefully considered at the Arctic TreeHouse Hotel. The lighting in the cabins has been designed to minimise light pollution, the buildings are made from sustainable Finnish wood and the roof of each cabin is covered in plants that help maintain runoff. In the main building, which is shaped like a five-pointed snowflake, guests can eat at the restaurant, which serves ‘local Lappish ingredients prepared with a modern twist’. Did you know you can rent an Airbnb in Finnish Lapland? And it’s not just any old house, either. From December to April each year, you can sleep on the ice of Lake Inari, in a glass-covered cabin that’ll leave you feeling like you’re the only person left on earth! The cabins are heated and have toilets – showers and cooking facilities are available at the ‘Base Camp’, where the cabins are parked during the day. At night, they’re pulled by snowmobile onto the frozen lake for an unforgettable night of Aurora watching (if you’re lucky)! No matter what kind of experience you’re hoping to have when you stay in Finnish Lapland – ice cabin, igloo, a traditional sauna – you’ll find it (and more) here at Apukka Resort. 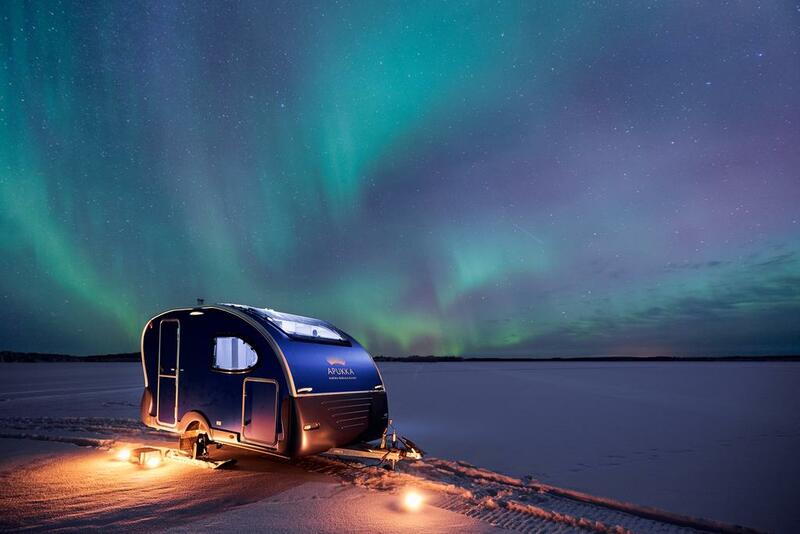 The Aurora Cabins are like igloos, with glass ceilings through which to watch the Northern Lights, there are Aurora Wagons, which are like little mini campervans out in the wilderness, and the ice cabins are, as the name suggests, built from blocks of ice. The resort can arrange activities for you to try, including a traditional Finnish sauna experience in the location of your choosing, thanks to their portable sauna cabin. 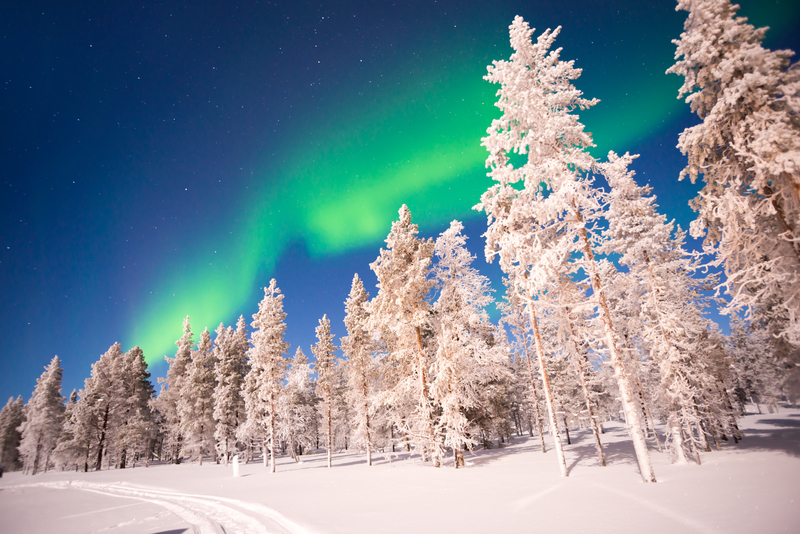 Apukka really is an all-in-one stop for the ultimate Finnish Lapland stay. If you’re looking for a presidential experience, it doesn’t get more authentic than a boutique hotel designed by Urho Kekkonen, the longest serving President of Finland! Kekkonen was so inspired by the pristine wilderness of Saariselkä that he built a lodge there, and today it’s a luxurious, adults-only hotel that offers the ultimate tranquil escape. The lodge offers personalised concierge services to customise your holiday to your tastes and needs, and the food is created using ingredients sourced by local gatherers, fishermen and hunters. It’s authentic, luxurious, and a truly memorable experience. 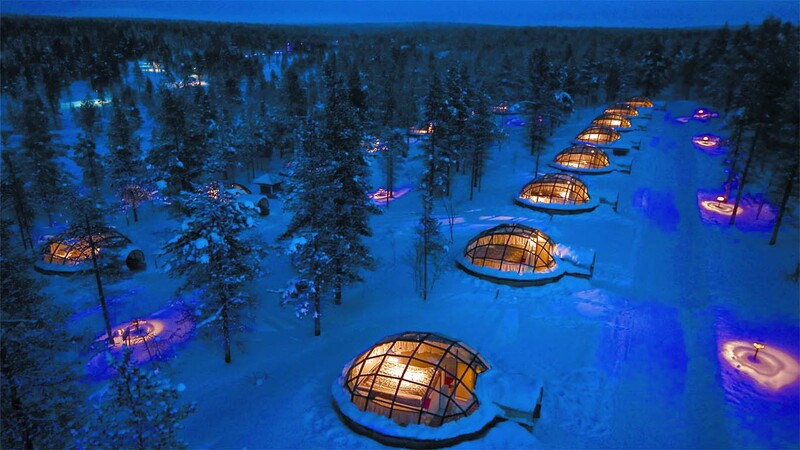 I really want to stay in an igloo hotel! !